Presentation and accessories give the purchase of this gun a big +1. 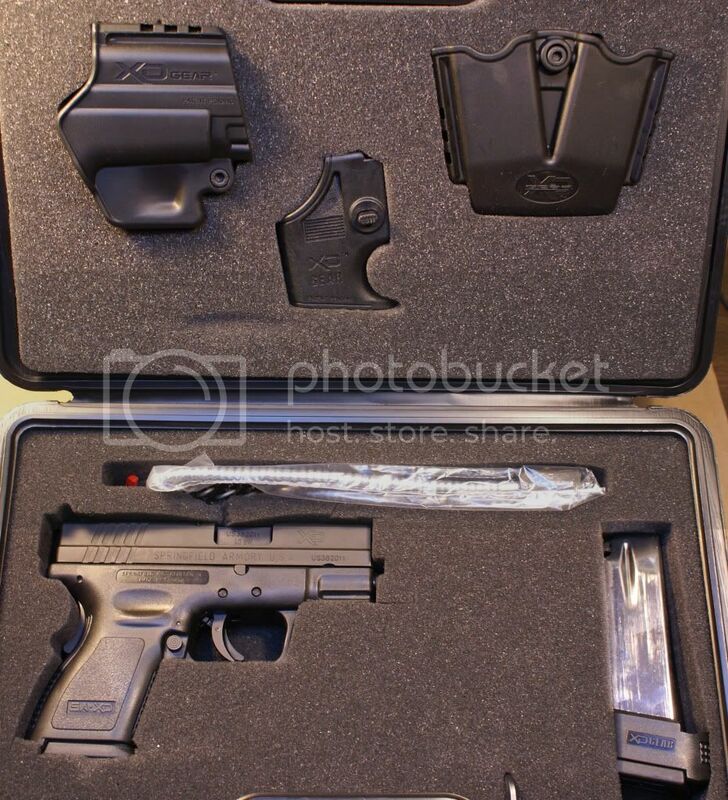 It comes in a standard plastic case but includes 2 magazines (9 and 12 count), a molded polymer belt holster, a dual magazine holder and a speed loader. Fully loaded, it weighs in at 30.6oz (9 round mag) which is much more than my M&P’s 25.9oz (10 round mag). You need a little extra “oomph” to pull the slide back but it is certainly manageable. 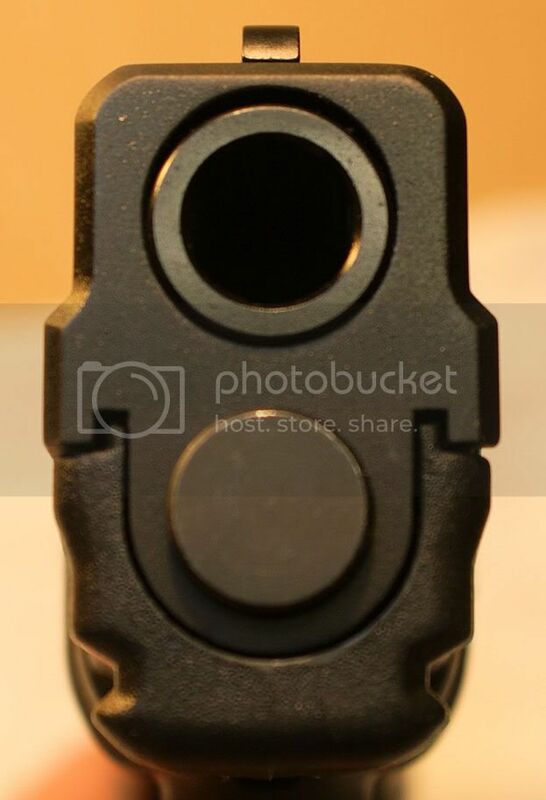 The grip safety is a very nice touch that I wish I had on my gun although it was a bit annoying when I tried to lock the slide back. You have to depress the safety for the slide to move so I just had to position my hand a little differently for that to happen. 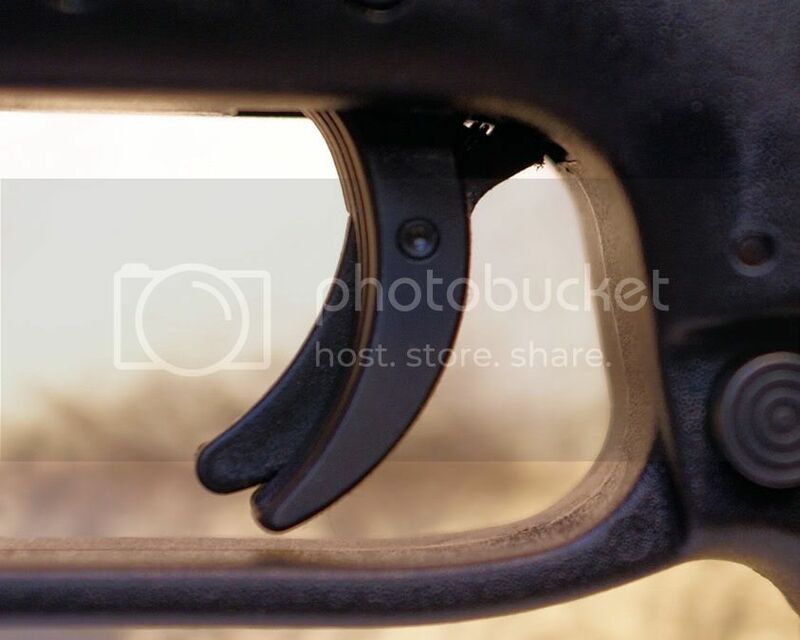 There is also a safety on the trigger called the “Ultra Safety Assurance (USA) trigger system”. 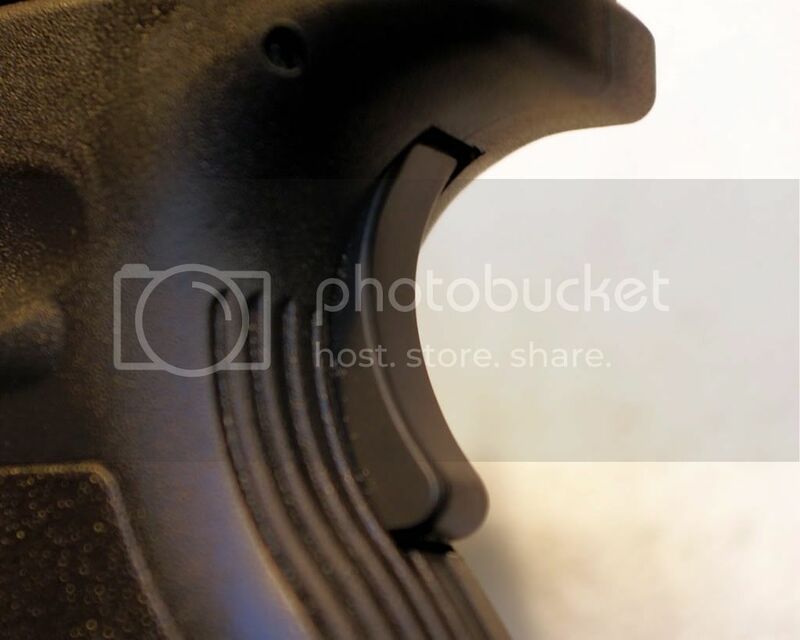 The rear of the gun has a cocking (Striker Status) indicator that you can see-and-feel (Visual/Tactile) and the loaded chamber indicator on top was also of see-and-feel design. 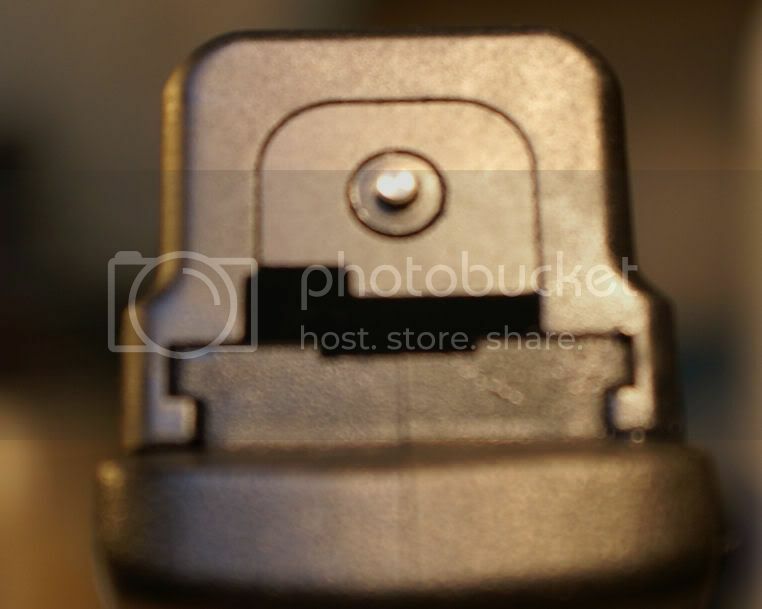 Disassembly, in this case, meant you lock the slide back, rotate the disassembly lever UP then release the slide and pull the trigger as normal. 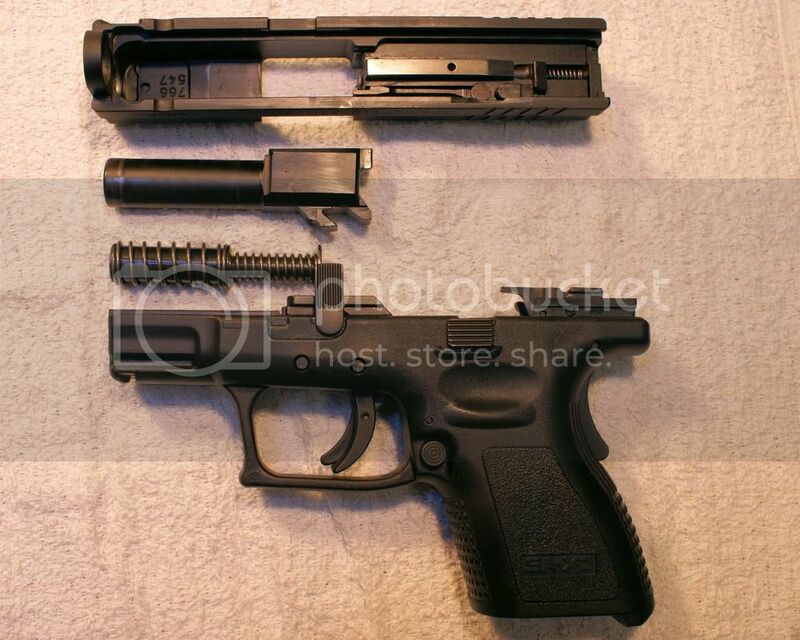 Once broken down, it had the usual parts in a gun of this design (basically a Glock design). 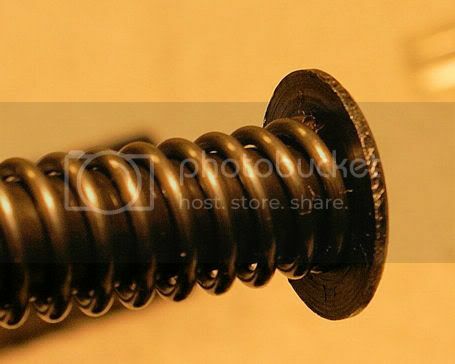 I noticed some wear on the end of the recoil spring assembly and a check on the internet showed this to be normal. A caution should be said to place the recoil assembly correctly during reassembly and not off to one side. This has happened and jams the barrel in the gun really bad. 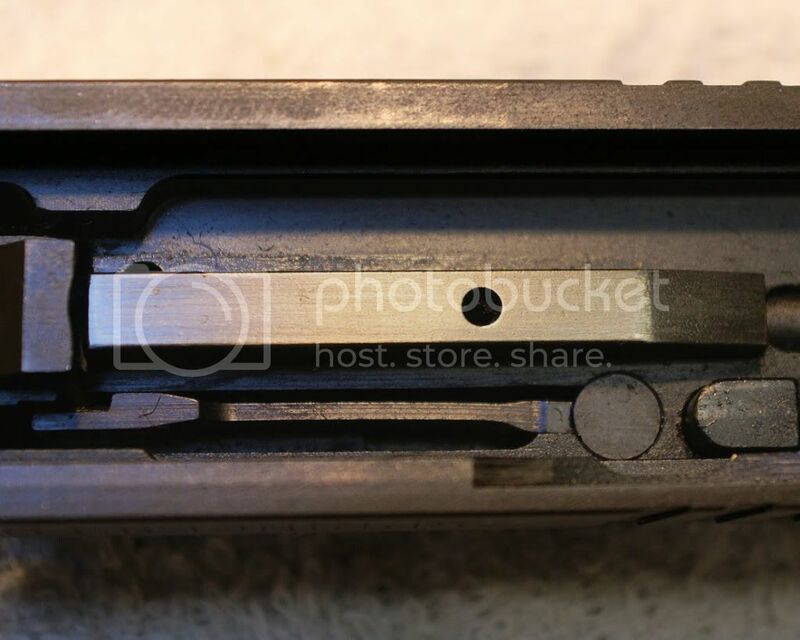 Cleaning is easy though you will need to pay attention to deep grooves on the slide that are hard to get to… if you like a really clean gun. The magazine feed ramp on this gun was already polished from the factory although I would probably buff it up to more of a shine. Reassembly is a simple reversal of procedures. Shooting: Uh, oh. That ergonomic statement that SA made just doesn’t seem to match my ability or hand size or eyesight or SOMETHING. Now I am no expert gun owner, but I did earn marksman ribbons in the military, have shot everything from derringers to M16’s and shoot several hundred rounds of ammo a weekend. Given that… I set the first target up at 25 feet to get a “first use” sighting. I fired off a round and could not see any shot on the target. I fired a few more rounds but still had no holes on the target. It turns out that I was about 8 inches to the left with every shot. I changed finger positions, hand grips and everything else but the only way to get a shot on the target was to align the front sight against the right dot on the rear sight or just shoot way right. Even then it was a wild pattern. 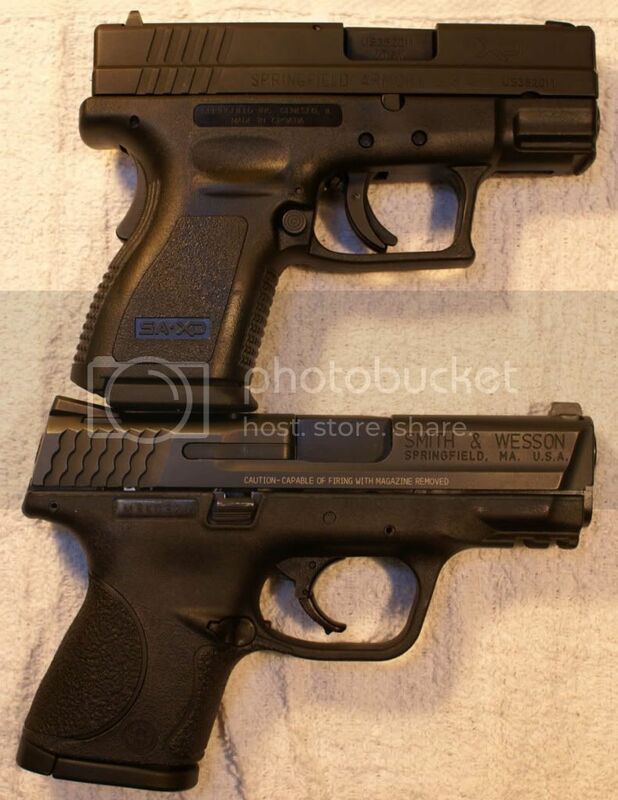 I interchanged between my M&P 40 (dead center) and my PPS 9mm (dead center) and back to the XD (waaaay off to the left). I know, I know, it is the shooter and not the gun, but this shooter cannot shoot this gun. If I picked this gun up in a gun fight, I would do a great job of picking off the bystanders to the enemy’s right. I don’t even have a picture of a target to show for this blog, it was so bad. Fifty rounds and I could not figure out what I was doing wrong. The bad: Well, the ergo thing doesn’t work for me at all. I felt the trigger safety was a bit sharp on my finger and the grip thumb groove was a little high for my hand, too. Overall: The gun looks good, feels good, is as concealable as my M&P (which I do carry in public) and comes with all kinds of extras. I am sure that I could learn to use this gun accurately given time but it was a borrowed gun and I can’t very well ask to keep it for a month. I would never tell anyone NOT to get this gun because I believe it to be a good gun, but if asked how “I” like it… I don’t. Well, I had intended on returning this gun to its owner but it just didn't happen this week. As a result, we gave it another trial this morning at the range. After working on different grips for myself, I did manage to bring the target back into the center and managed some good groups, although not perfect. 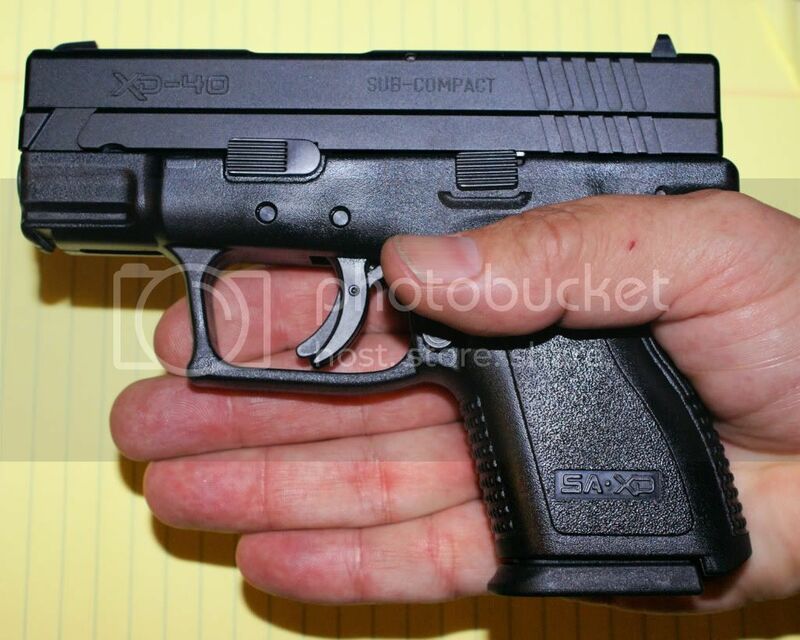 Basically, I had to bring my left index finger over the front of the trigger guard to achieve accurate shots. My oldest daughter shot this gun BETTER than she shot my M&P and likes the XD the best. She managed very centered groupings. So, once again, I have to admit that it is ME and not the GUN at fault. actually been having difficulty trying to make labels. A Database Analyst contracted with the Air Force. 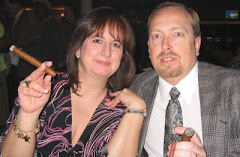 My interests are church, cigars, SciFi, NASCAR and guns. A familiy man with a wonderful wife and two great kids. These are all MY opinions and they aren't being forced on you. You may leave this page at any time you like.